Have you ever noticed that you see much more details when looking at a scene by eye than when seeing a photo of the same scene? If not, it’s just because it’s too common to be noticed. Even having, physically, a lower dynamic range than a camera, human eyes see more. Almalence Dynamic Range Optimizer optimizes the usage of dynamic range of 8-bit images to make the most of image details visible. DRO uses a technique similar to tone mapping, exploiting the peculiarities of human vision. DRO can be used either for optimal conversion of RAW images into 8-bit RGB/YUV images or for improvement of existing 8-bit images. Same data acquired by the camera, different usage of dynamic range. Left: standard image produced by the camera. Right: result of Almalence DRO processing, close to what human eye would see. Details in shadows are revealed due to optimization of dynamic range usage. Noise is not amplified. DRO is easy-to-integrate, extremely fast solution that automatically improves the images in 100% cases and can substitute HDR in most of cases. 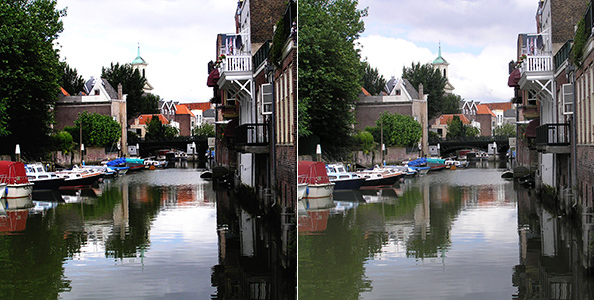 Left: standard image, right: DRO processed (optimized) image. Details in both shadows and highlights are revealed due to optimization of dynamic range usage. DRO can be integrated in ISP, camera drivers or applications. Demo application is available upon request. 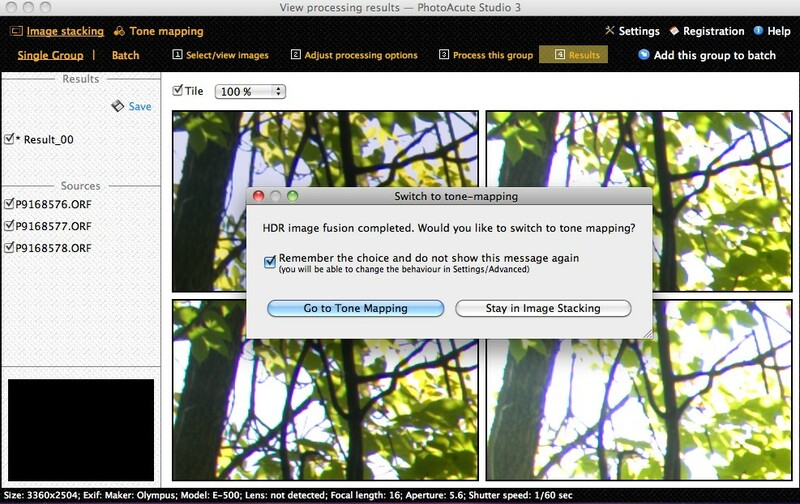 A little improvement in PhotoAcute user interface: once you have fused a HDR image, you are automatically directed to Tone Mapping. This makes PhotoAcute HDR workflow a bit smoother. Tone Mapping functionality is still under development, though.